In this two-parter, I consider the care we need to take when making assumptions about how lucrative certain client types are. While some may agree, my own experiences (and my preferred way of running my business when I proofread for publishers) make me question this assumption. Online discussions among editorial folk often allude to the issue of ‘poor' pay when it comes to publisher clients. And while there are some presses who, for various reasons beyond the scope of this article, offer rates that some freelancers consider to be unsustainable, it's not always the case. 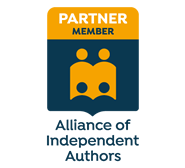 I have extensive experience of working with regular publisher clients (around 400 books since I set up my business in 2005) and I've worked with businesses, independent academics, students and self-publishing authors. I've enjoyed pretty much all of the projects I've worked on, but the jury is still out on who pays 'well' and who doesn't. For the purposes of this article I’m going to take a look at how working with a regular publisher client contrasts with working for a new non-publisher client. I’ve chosen to use publishers precisely because they are a group that are often cited as being ‘low’ payers. I also look at the booking phase of proofreading work, and consider how the situation can vary between a regular publisher client and a new non-publisher client, and what this means in terms of creeping costs. In Part II, I look at the additional costs that can creep into the actual editorial stage of a booked-in proofreading project, and the phase after completion – again comparing regular publisher clients and new non-publisher clients. How do we define 'paying well'? What’s a ‘good’ rate of pay? This is the first problem that arises when we make statements about how lucrative particular clients groups are, and it can confuse the new entrant to the field. Some national editorial societies offer guidance on suggested minimum rates (see, e.g., the Editors Canada, the Editorial Freelancers Association [United States], and the Society for Editors and Proofreaders [United Kingdom]). Note, though, that while many new entrants to the field will aspire to these rates, for others they may not be high enough. Rich Adin, An American Editor, advises using these guidelines as ‘a place to begin but not to stop’ (Business of Editing: What to Charge (Part I). A client offers me a £20ph (the market rate) for a proofreading job. This is lower than my desired rate (£25ph) but higher than my required rate (£17ph). My professional society suggests a guideline rate of £23ph. A client offers me £27ph for a proofreading job. My required rate is £17ph and my desired rate is £25ph, so the market rate exceeds both my required and desired rates. I then find out that a colleague will accept no less than £30ph for any proofreading job. Again, my professional society suggests a guideline hourly rate of £23ph. A client offers me £13ph. This is below my required and desired hourly rates. Again, my professional society suggests a guideline hourly rate of £23ph. In the above situations, which rates are good, and which are poor? Looking at the above three examples, you will have your own opinions about what’s acceptable. In example 1, £20ph exceeds my needs. For me, it’s a good rate. Yes, it’s below the figure suggested by my professional society, but it doesn’t have to meet the needs of the professional society, because the professional society doesn’t pay for my rent, food, and bills. Rather, it has to meet my requirements. If your required rate is £25ph, it won’t meet your needs so it will be a poor rate. In example 2, £27ph exceeds my required and desired hourly rate, so it’s a great rate. It also exceeds my professional society’s guidelines, though that has no bearing on my financial situation. My colleague still thinks it’s too low. Perhaps that’s because she needs to earn £30ph. But her needs are just that – hers. What she needs to earn has no bearing on my financial situation. It’s a poor rate for her but it’s still a great rate for me. In example 3, the market rate of £13ph is lower than my required rate. I therefore consider the rate to be poor. This isn’t because a colleague or a society thinks it’s too low, but because it doesn’t meet my required rate of £17ph. If I wish, I can still choose to accept the job, if a broader analysis of my accounts tells me that my overall business earnings will compensate for the shortfall. So, if you’re a new entrant to the field and you hear someone say, ‘Publishers don’t pay particularly well,’ or ‘Businesses offer great rates,’ bear in mind that your colleague’s experiences may not be the same as yours because the yardstick by which she’s measuring rates of pay is different than yours. What she needs to earn will probably be different than what you need to earn, and what’s ‘good’ for you might well be ‘poor’ for her. Define ‘well-paying’ clients first and foremost according to your needs, not those of others. Another problem that arises when considering how lucrative publisher clients are is that of comparison. Are we comparing their rates with students, self-publishing authors, academics, multinational corporations, charities? The fact is that even clients from within a particular customer group have will have different budgets and expectations (not every academic will be prepared to pay the same fee per word/page/hour for proofreading; not every publisher will offer the same rate for copy-editing a 300-page sociology manuscript). You may well find that ‘bad,’ ‘good,’ and ‘good enough’ rates of pay (as defined by your own needs and wants) can be found both within and between customer groups. The rates that I earn from proofreading for publishers vary a great deal. I record detailed data for every job I take. This allows me to make some comparisons between clients, and more broadly between client groups. In my own experience, the income I can earn from somepublishers is what I consider to be a ‘good’ or ‘great’ rate of pay. This isn’t just because the fees offered for the jobs are flat-out higher than what’s being offered by other clients; it’s not just because I’ve been able to introduce more productive ways of working (see The Proofreader’s Corner: Rates, Data Tracking, and Digital Efficiencies (Part II) for more detail on how this can be achieved); it’s also because there are, in my experience, fewer creeping costs. One financial issue that has often snuck up and tapped me on the shoulder when working with non-publisher clients is that of creeping costs. I’m not going to pretend it’s never happened with publisher clients, but I’ve found it to be less likely. This is because publishers understand what I do, and I’ve trained to proofread in a way that enables me to offer them a solution to their problems. This isn’t always the case with a non-publisher client. Some non-publisher clients do, of course, have extensive experience of working with editorial professionals, so the process is well understood. But for many , the decision to hire a copy-editor or proofreader will be new – it’s the first time the independent author has self-published; the first time a marketing agency has hired a copy-editor to work on its promotional material; the first time a business executive has hired a proofreader to check its reports. First-time clients may need a level of support that publishers don’t. Support and clear communication take time – and inexperienced editorial folk can fall into the trap of not building the cost of this time into their quotations. Please let me know whether you’re able to take on this project. There’s no need for the publisher and I to have a discussion about what ‘proofreading’ entails; there’s no need for me to assess the manuscript prior to proofreading; there’s no need for us to agree on how I will annotate the manuscript; the payment structures are already set up and proven to work; and my client isn’t asking for a free sample proofread before I get cracking on the job. We have a mutual set of expectations about how the process will work. It will take me no more than 5 minutes to read the project manager’s request, check my schedule, and reply accordingly with a Yes or a No. The only thing that might extend the conversation is if I want to ask whether there’s any flexibility on the deadline, owing to my busy schedule. I can’t send the publisher an invoice for those 5 minutes, but we are only talking about 5 minutes. This contrasts quite sharply with an enquiry from a nonpublisher client with whom I’ve never worked. It’s not uncommon for me to receive requests to quote for proofreading jobs without having any idea of what kind of state the writing is in (and thus whether it’s ready for proofreading), what format it will be in (paper, PDF, Word), what the required time frame is, what the writer’s budget is, what other stages of editing the manuscript has been through, or whether the client knows how to work with Track Changes or other digital mark-up tools. It’s right and proper that the freelancer and the client do have an in-depth discussion about these issues so that both parties are in agreement about the overall terms and conditions of the project. But this is rarely a discussion that will take 5 minutes. Additionally, a client who’s not previously used a freelancer’s services might request a free sample proofread so that he or she can assess the supplier’s proficiency (for a good discussion of why free sampling isn’t acceptable to every editorial professional, take a look at Jamie Chavez’s No More Missus Nice Gal), just as the freelancer should request a sample of the manuscript in order to confirm that her skill set matches the customer’s requirements. Such negotiations can be lengthy and may even result in the customer needing to find an alternative supplier. All of which is right and proper. Even in the booking phase, there are costs to acquiring business, and these have to be accounted for. Time is money. In Part II, I look at the additional costs that can creep into the actual editorial stage of a booked-in proofreading project, and the phase after completion.